"I think these kids went to my high school." Once upon a time our favourite rapper Drake was on a little canadian show called Degrassi: The Next Generation. This will explain Drake's constant references to shooting Degrassi down in Morningside etc. etc. Of course, that was years ago and we haven't seen them reunite in a long while. UNTIL NOW. 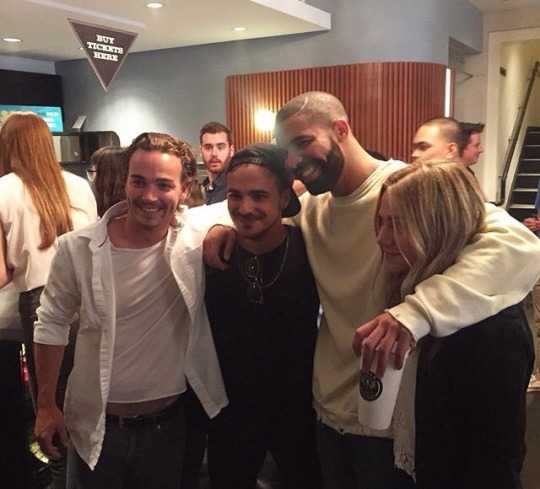 Drake caught up with Marco, Paige, and Sean and OH MY GOD I cannot. Oh my days. We can't believe this.